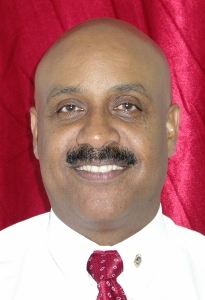 (CNS): Albert Anderson, who spent more than three decades working with local telecommunications service provider Cable & Wireless, now LIME, has been appointed as the CEO at the Cayman Islands Airports Authority. Anderson will start his new job on 3 March, when he will assume responsibility from Andrew McLaughlin, the authority’s current Acting CEO. With over 20 years of executive management and leadership experience, most recently as Vice President of Technology and Service Standards for 13 LIME businesses across the Caribbean, Anderson will be facing an altogether new challenge at the airport, which has been plagued with controversy over the last year. “The board of directors is extremely excited that Mr Anderson will be joining the CIAA’s executive management team,” said Kirkland Nixon, the board chair, in a press release from the airport on Friday evening. “We are fortunate to have succeeded in recruiting such a strong leader who is a talented professional. We look forward to working with him and are confident that he will bring new and positive changes to the authority. “This is an exciting time for the CIAA as we prepare to move forward with plans to redevelop our airports. As we eagerly embark on this journey, the Board is positive that the new CEO, with the support of the CIAA’s Team, will realise the Authority’s full potential and meet or exceed the expectations of its key stakeholders. We are very fortunate to have a number of talented and experienced team members and Mr Anderson will work closely with those individuals to ensure a safe and customer-focused environment for our visitors as well as the residents of the Cayman Islands,” added Nixon. Anderson said he was looking forward with “anticipation and excitement” to the challenge and working with the board as well as its team of professional employees. “This organisation has a steep history going back beyond the formation of the CIAA and it is indeed an honour to have been asked to take on the task of continuing to build upon the solid foundation that was laid by so many Caymanian aviation experts over the years. I have no doubt that the current team is very proud of that heritage and of what they have achieved. I will do my best to ensure that the value of that heritage is preserved and the organisation successfully achieves its objectives over the coming years,” he said. Officials said that one of Anderson’s priorities in his new role will be the appointment of a number of executive management positions, including the Chief Financial Officer and the Chief Human Resource Officer, to support him in achieving the organisational objectives. He will be responsible for the creation and implementation of the authority’s strategy and vision as well as developing the culture of the organisation. He will also need to ensure that the CIAA maximises its commercial opportunities with a view to achieving self-sufficiency, including generating a capital and reserve fund. His other key roles include building a strong and competent senior management team and maintaining oversight for the progression of the organisation from both a financial and operational perspective. In addition, he will be required to ensure that the islands’ airports are managed in accordance with the safety and security requirements of local and international regulations. Anderson holds membership in the Engineering Council and the Institution of Engineering & Technology in the UK. A staunch contributor to community outreach programmes, he is a Past President of the Lions Club of Grand Cayman and previously served as Chairman of the Quincentennial Committee for George Town, in addition to being a past member of the Central Tenders Committee and the National Trust of the Cayman Islands. He is also a former coach and member of the Cayman Islands National Football Team. He also holds various engineering and electronic certifications from UK institutions, most notably a Master of Science (MSc) in Operational Telecommunications. Anderson’s appointment follows a strenuous and detailed assessment by an interview panel as well as scenario testing by the Portfolio of the Civil Service. The board added its gratitude to Kerith McCoy, who recently announced his retirement from the airport, and Andrew McLaughlin, the most recent acting CEO, for “their valuable contributions” while the recruitment process to find a permanent CEO was carried out. McCoy was appointed by the previous board following their dismissal of former CEO Jeremy Jackson following an internal report which made numerous allegations regarding mis-management at the airport. However, the board itself was then embroiled in scandal when several members were seen to be in major conflict, presiding over decisions for the authority which may have favoured their own business interests. When a new board was appointed in the wake of the May 2013 elections, it began a review as well as a recruitment process for a number of senior management posts. This too led to even more controversy when a foreign national was given the HR job when many believed a qualified Caymanian was available. However, the work permit was refused and the recruitment process recommenced.